For years Sam Moore was best known for his work with the historic soul duo Sam & Dave. The rapid-fire style, built on the call and response of gospel, was fashioned and pioneered by Sam and became the trademark of the duo. Songs like Hold On I’m Coming, I Thank You, When Something Is Wrong With My Baby, Soul Sister, Brown Sugar, Wrap It Up and his monster hit Soul Man catapulted them up both the Pop and R & B Charts. Sam & Dave sold more than 10 million records worldwide. The music and sound of Sam & Dave became so popular that the duo served as the inspiration for The Blues Brothers parody by Dan Aykroyd and John Belushi. 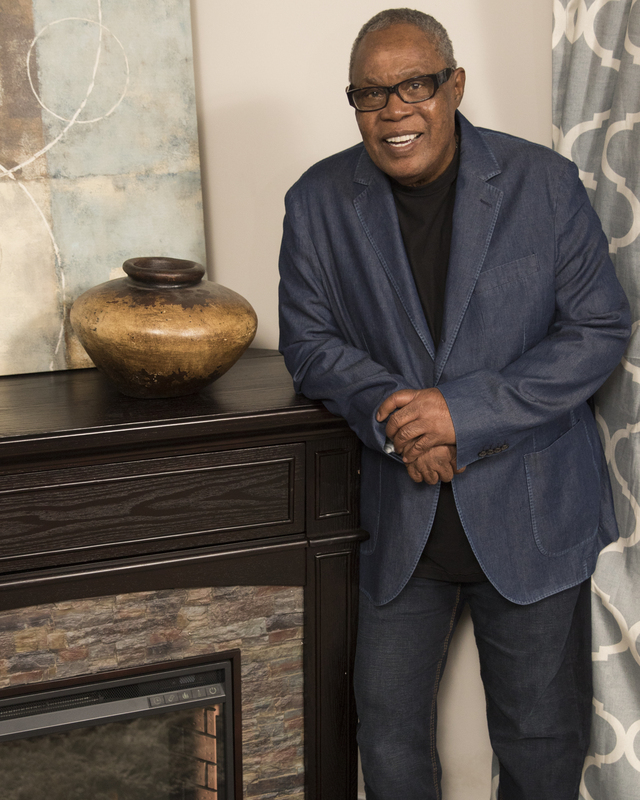 Though he has tremendous love and respect for the music he created as “the voice” of the duo, Sam, who has been called “the blast furnace of soul,” has maintained his appeal and his stardom as a solo artist and continues to tour scoring critical acclaim for his work. He recorded Rainy Night In Georgia, as a duet with Conway Twitty, which earned them a platinum record as well as two Country Music Association Awards nominations. This was Twitty’s last recording. The Grammy Award winner has countless television appearances globally including The Leno Show, Late Night With David Letterman, Later With Jools, The Today Show, Entertainment Tonight, The Grammys and many others. Sam has also appeared in several major movies including One Trick Pony, Tapeheads, Blues Brothers 2000 and Night of The Golden Eagle. A documentary filmed by the legendary D.A. Pennebaker for Miramax Only The Strong Survive in which Moore’s singing and life is prominently featured has earned him further accolades. Moore’s collaborated for recordings or live appearances with Bruce Springsteen, Don Henley, Sting, Elton John, Billy Joel, Annie Lennox, David Gilmore, Elvis Cos tello, Joe Cocker, Phil Collins, Travis Tritt, Vince Gill, Ricky Martin, James Taylor and countless others. His solo album, lost for 30 years, Plenty Good Lovin, earned him worldwide critical acclaim as well as the only 4 Star (****) rating in 2002 from USA Today. A Grammy Winner, Sam has also been inducted into the Rock & Roll Hall of Fame in 1992, he’s also received the coveted NARAS Heroes Award, been inducted into the Grammy Song Hall of Fame for Soul Man, earned the ETAM ‘Living Legend’ Award and also awarded a Pioneer Award from the Rhythm & Blues Foundation. Most recently, Sam and a few dear friends, Bruce Springsteen, Elvis Costello and The Edge closed the 2006 Grammy Awards telecast with a stunning tribute for former Atlantic Records label mate Wilson Pickett. Sam’s most recent release, “Ovenight Sensational” earned him a Grammy nomination for “You Are So Beautiful” the stunning tribute to his best friend, Billy Preston who fell into an irreversible coma during the making of the album. Produced by the famous bass player/record executive and American Idol talent judge, Randy Jackson, the album has earned “rave” reviews and featured a stunning array of 27 friends like Bruce Springsteen, Jon Bon Jovi, Sting, Vince Gill, Travis Tritt, Paul Rodgers, Eric Clapton, Billy Preston, Wynonna who dropped by to add a touch here and there on material by writers that range from Diane Warren and Garth Brooks to Atlantic Records founder Ahmet Ertegun. Sam was awarded the first ever MOBO Lifetime Achievement Living Legend Award at Royal Albert Hall in September of 2006; appeared at Kennedy Center Honors; Hootenanny; Soul Britiannia; The Led Zepplin After Party at the O2 Arena as well as filming a critically acclaimed TV Special that broadcast over two weekends in Japan called “Speak In Music”, Sam Moore The Soul Man. His plans for 2008-2009 include a Worldwide Symphony Concert Tour, a guest appearance with David Sanborn on David’s upcoming Phil Ramone produced project, a special markets project with a series of popular Japa nese artists and another television special for the Japanese market, a major DVD release about his famous 60’s duo, Sam & Dave which has just received the highest rating 5 Stars in Mojo Magazine, a special project for Disney, another solo album and a feature role in a major motion picture.